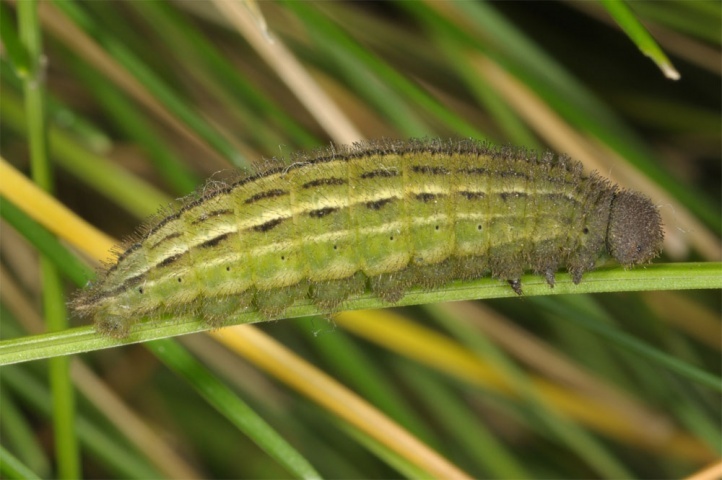 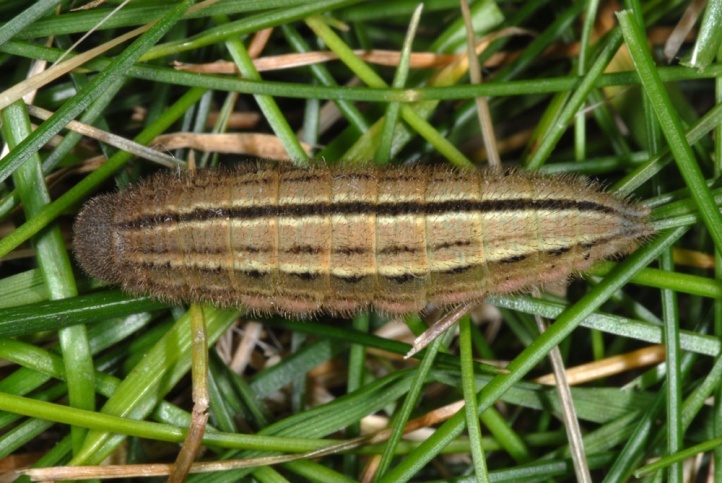 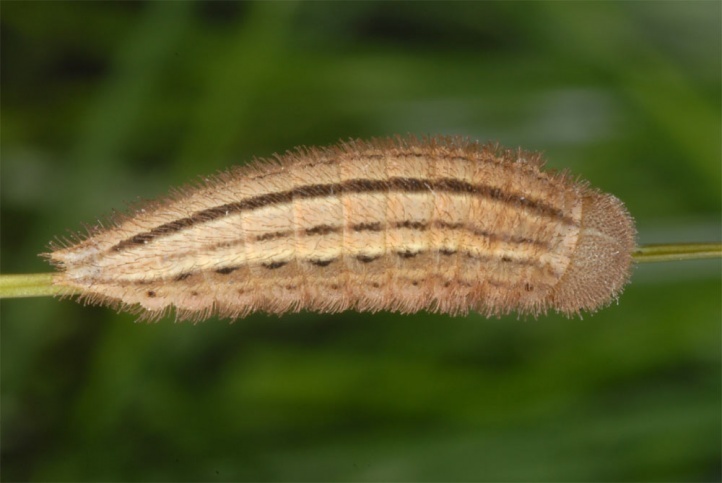 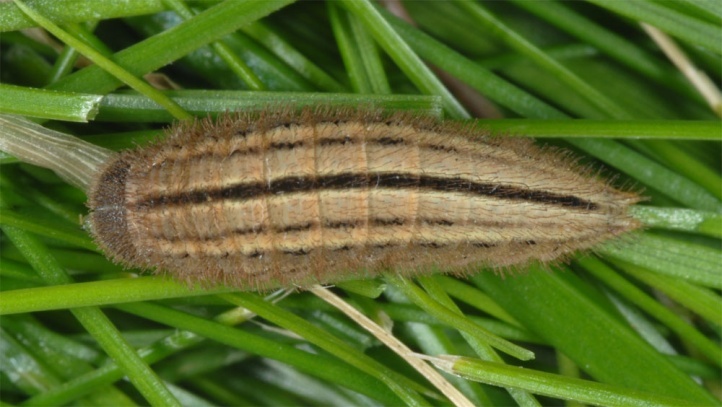 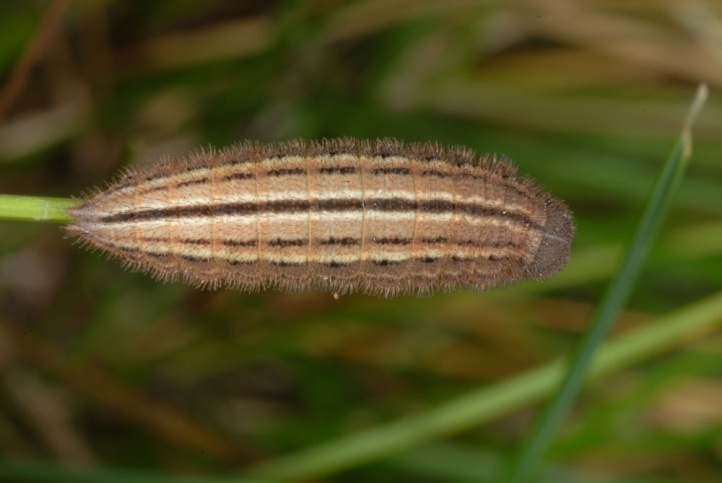 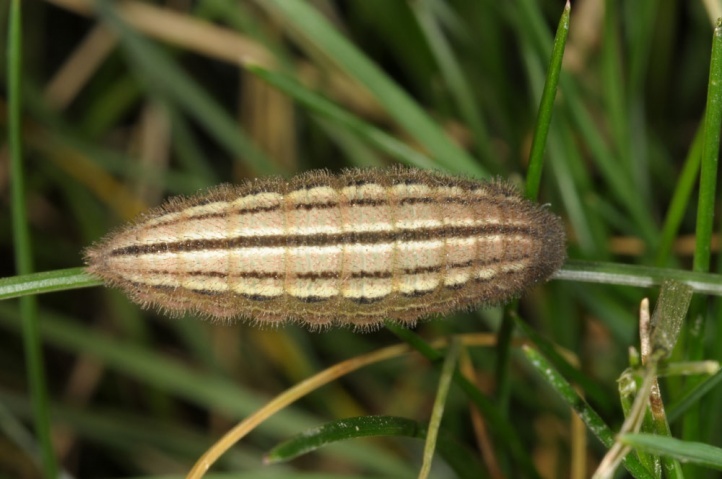 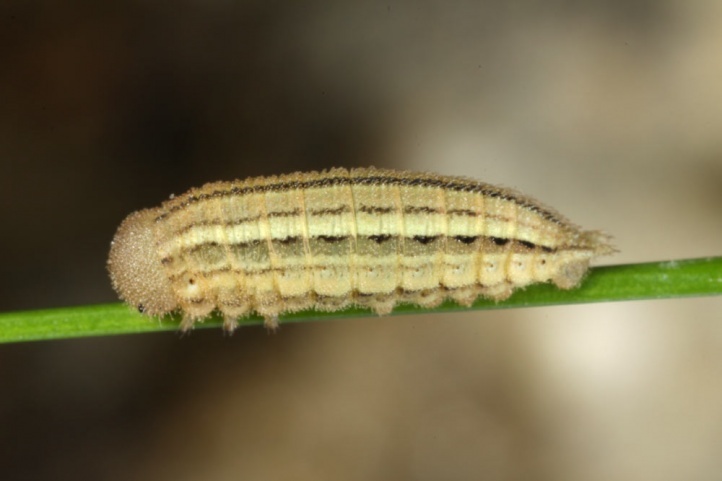 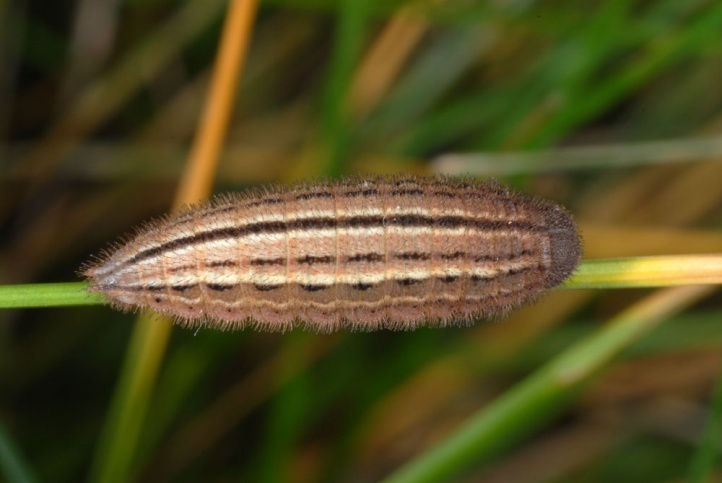 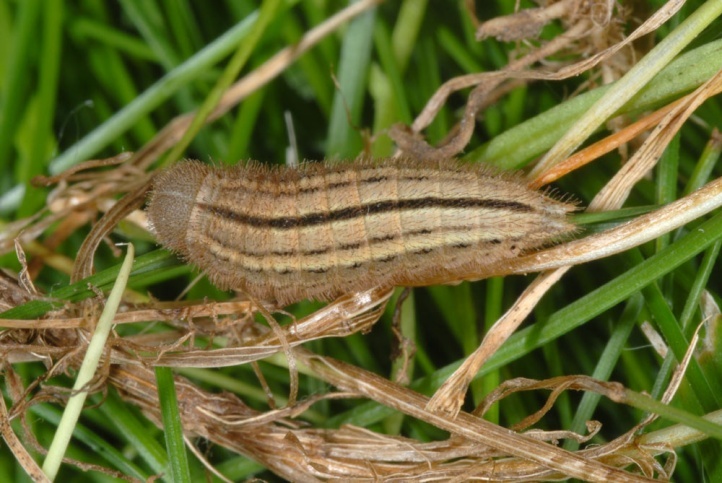 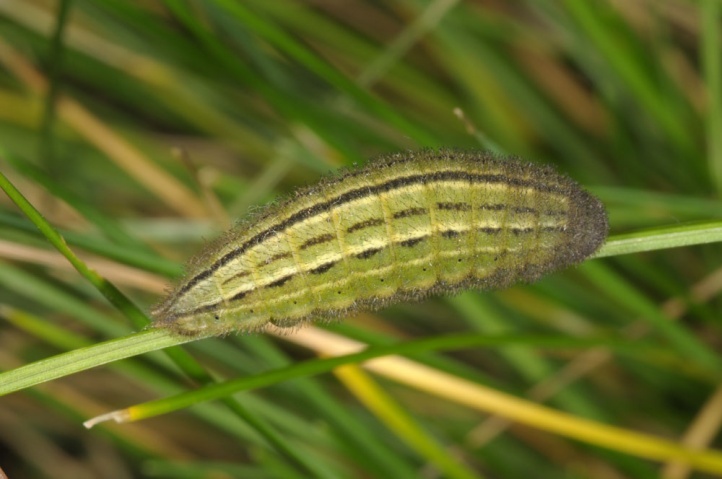 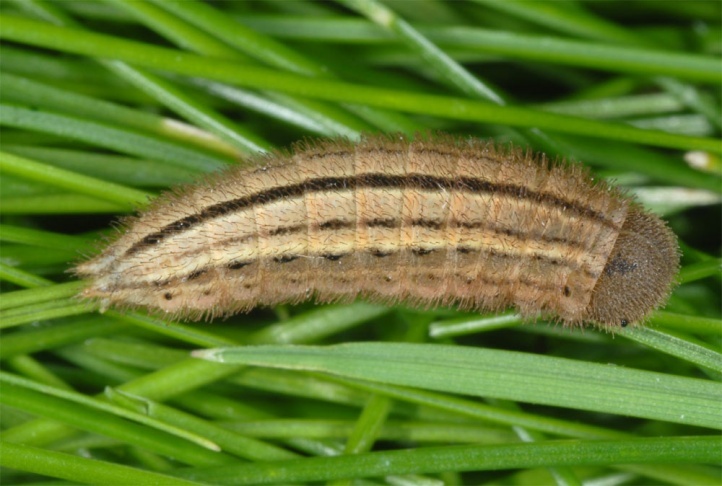 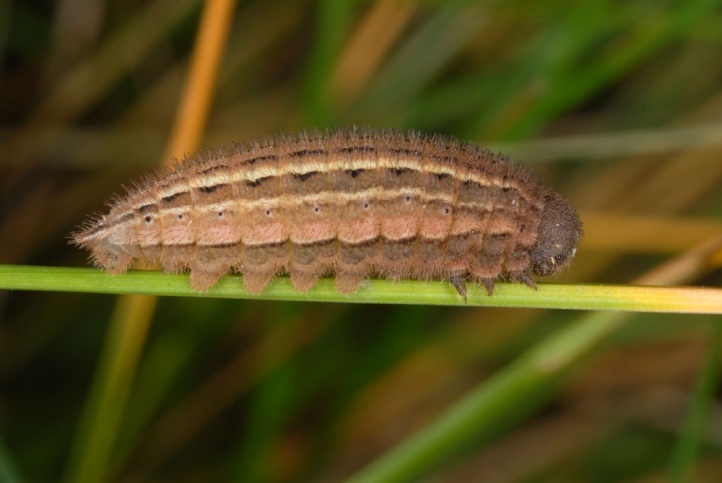 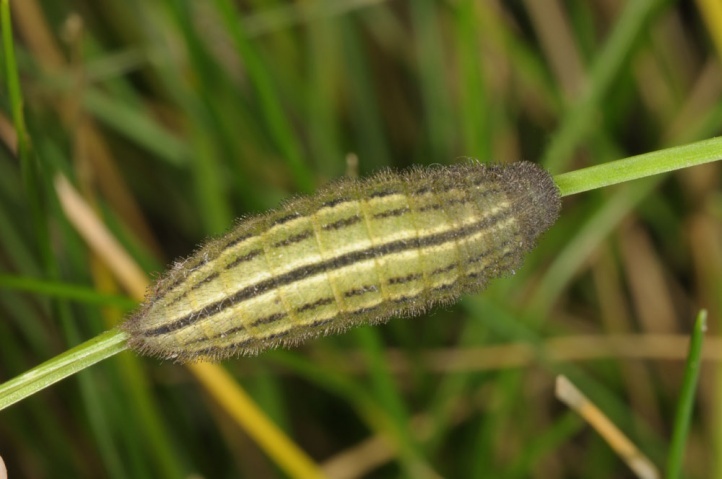 The caterpillar feeds on grasses (Poaceae, maybe Cyperaceae). 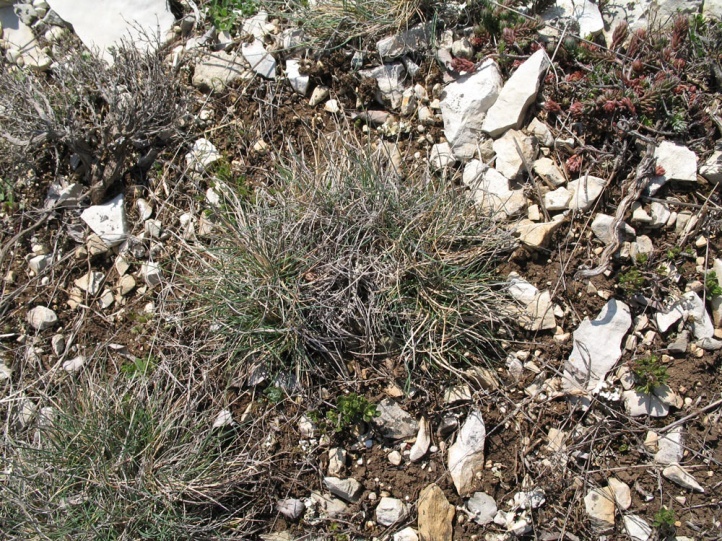 In Provence, I noticed as certainly most important species Festuca ovina agg. 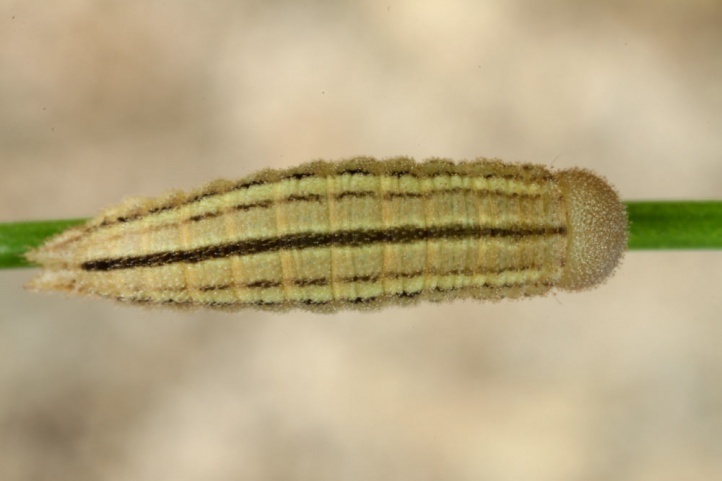 Erebia epistygne inhabits rocky to stony slopes with sparse, gappy vegetation (Festuca!). 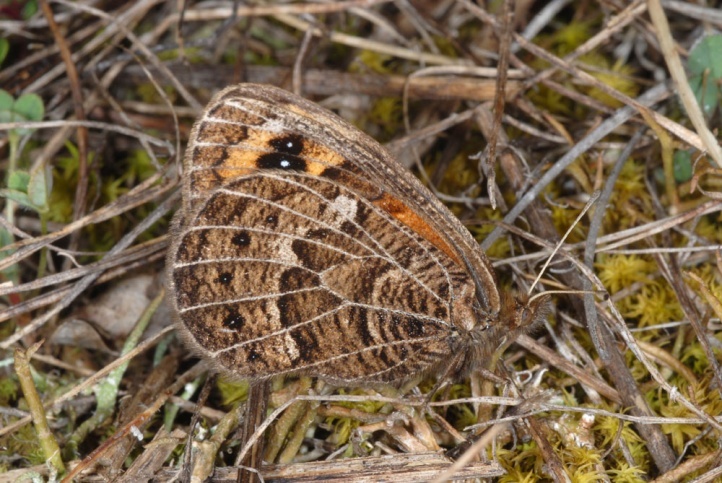 Sometimes it is observed in rocky clearings and embankments. 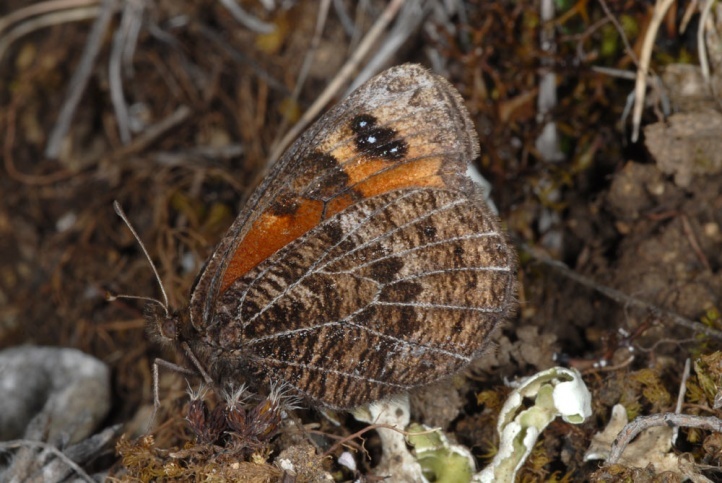 The main distribution is between 700 and 1400m above sea level, although populations occur down to 400m and up to 1600m above sea level. 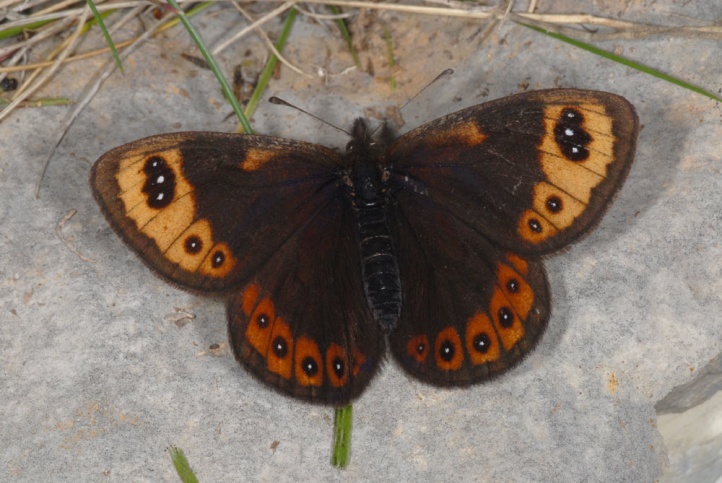 The butterflies appear from March to mid-May. 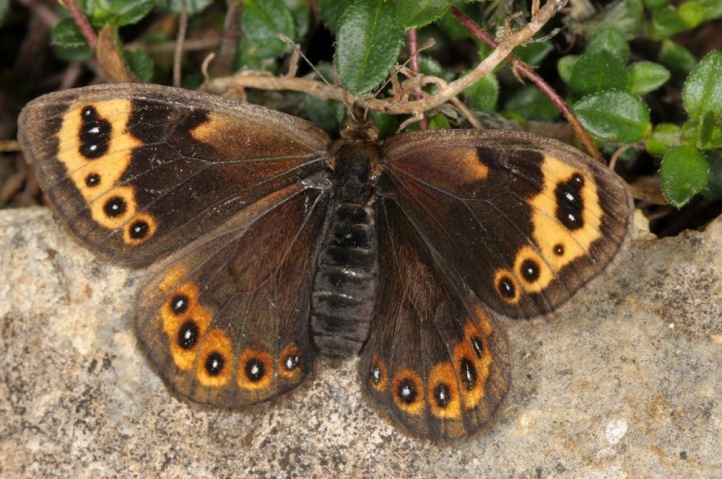 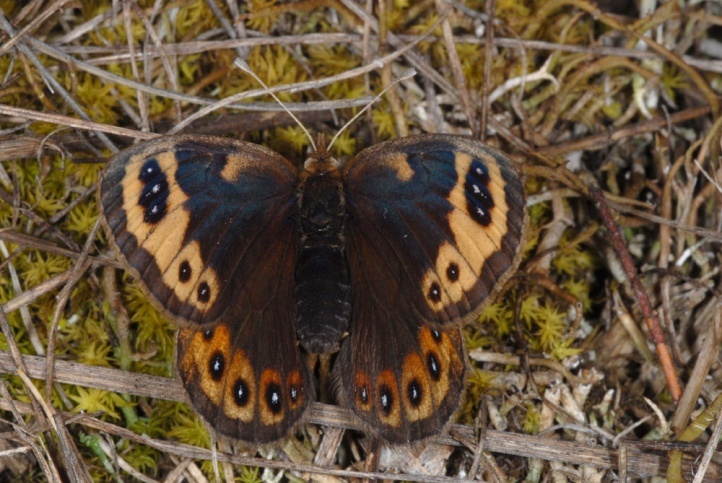 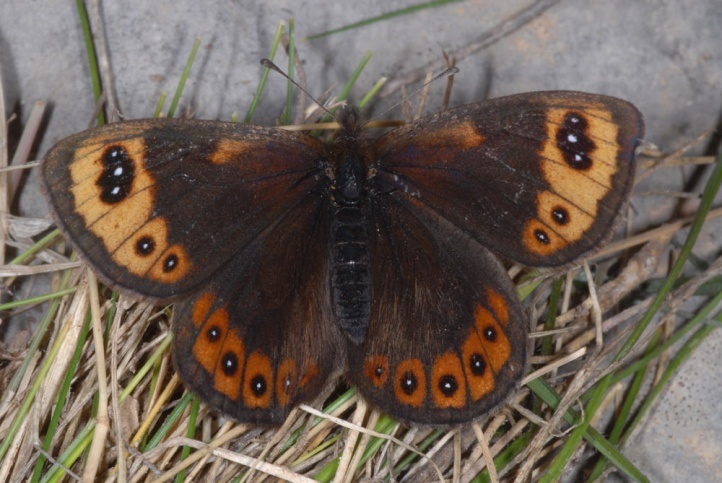 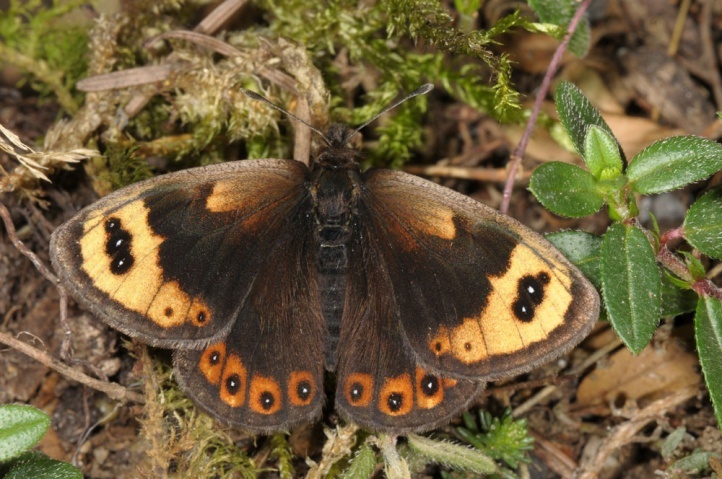 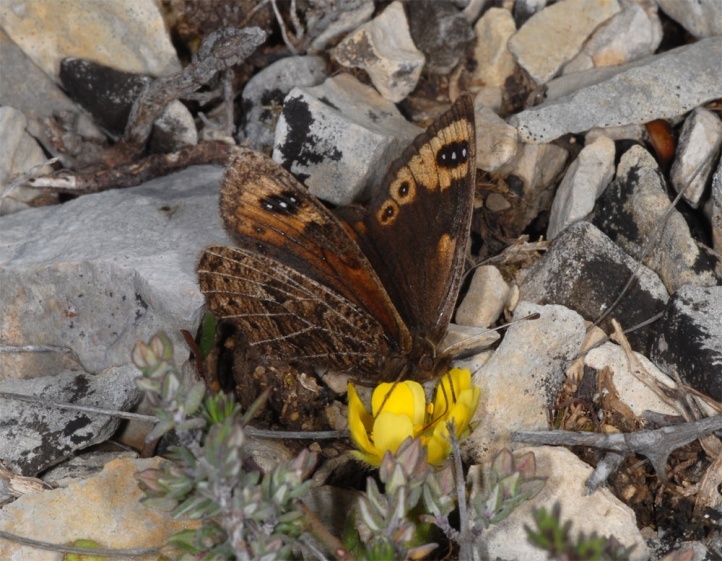 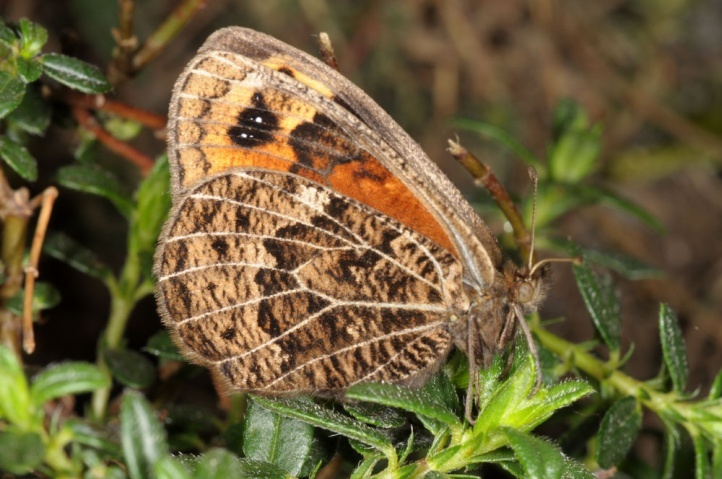 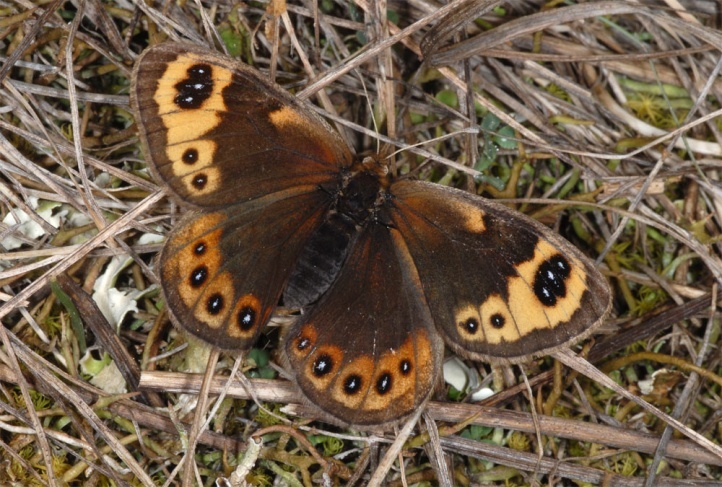 In the Alps of Provence, I found the butterfly quite common at about 1200m above sea level in the course of April 2010. 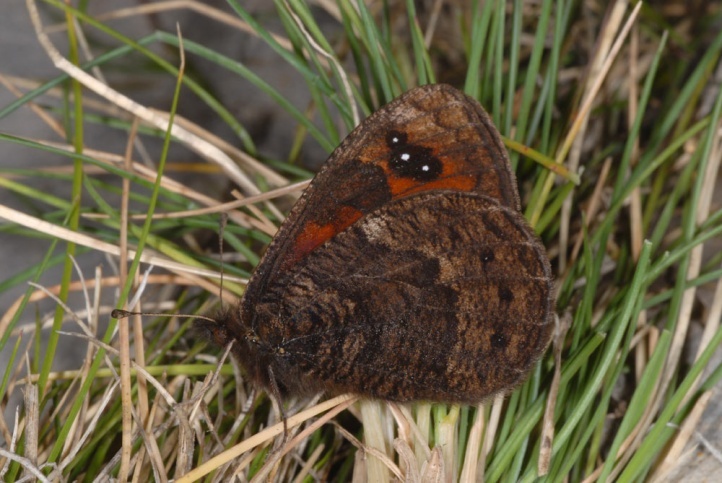 Males patrol during sunny weather in search for females on the slopes up and down. 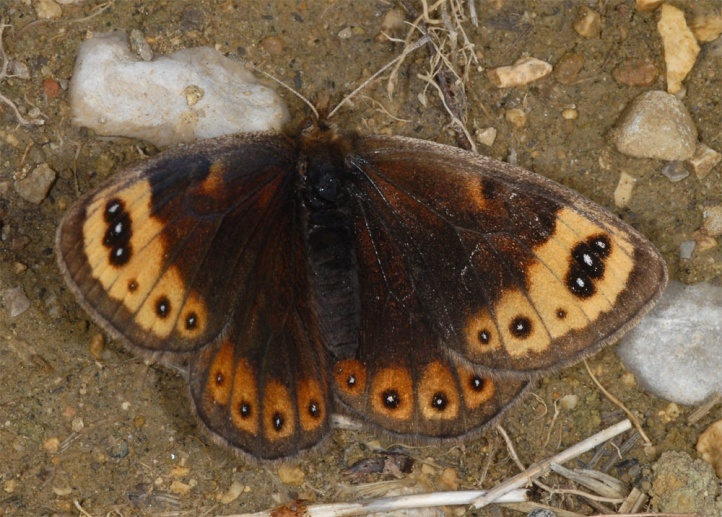 In between, they rest on stones and occasionally open ground spots. 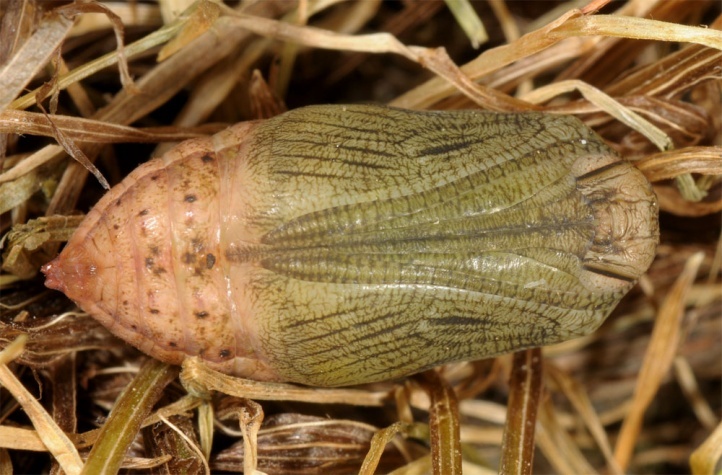 Females are considerably slower and warm themselves for ovipostion on the ground. 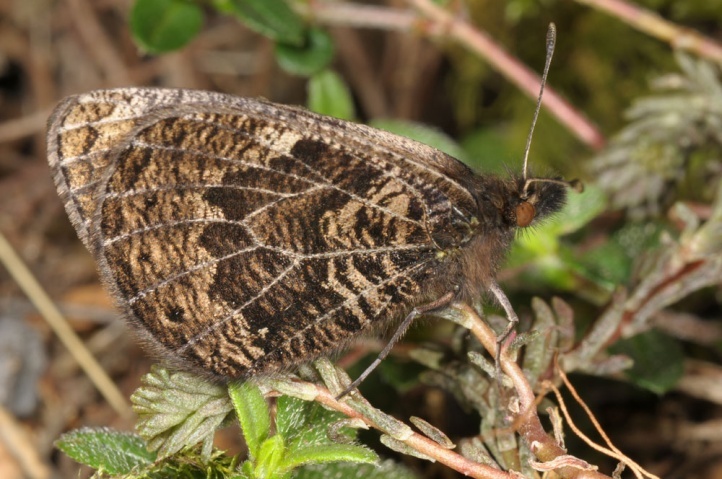 In both sexes, but especially in the females, I could observe visiting flowers (Potentilla pusilla, Crepis sp.). 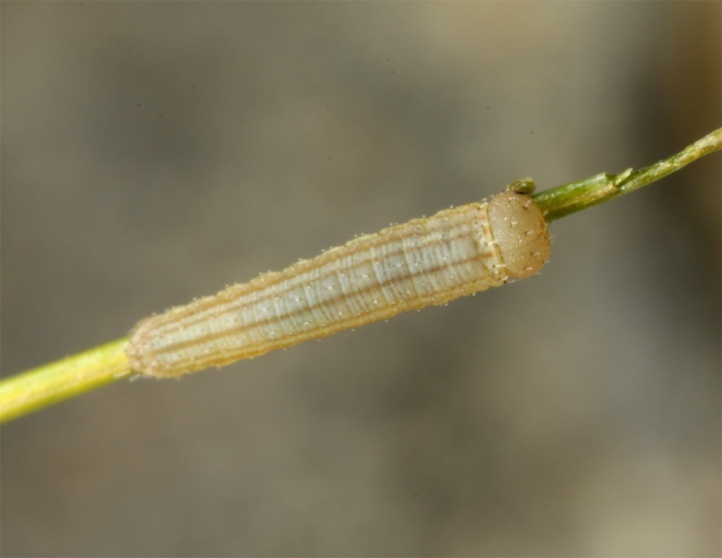 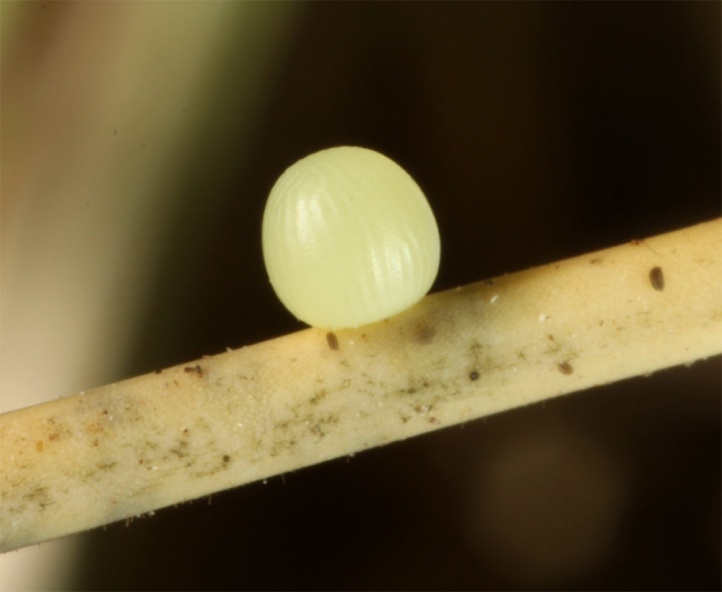 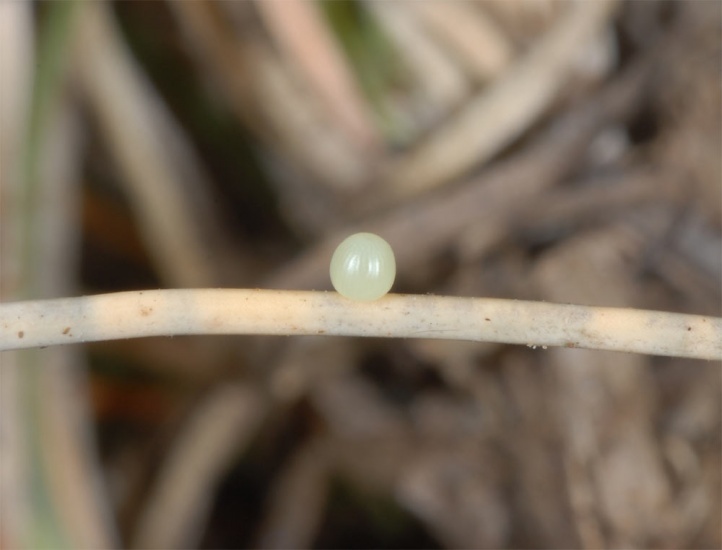 The eggs are attached to Festuca ovina agg. 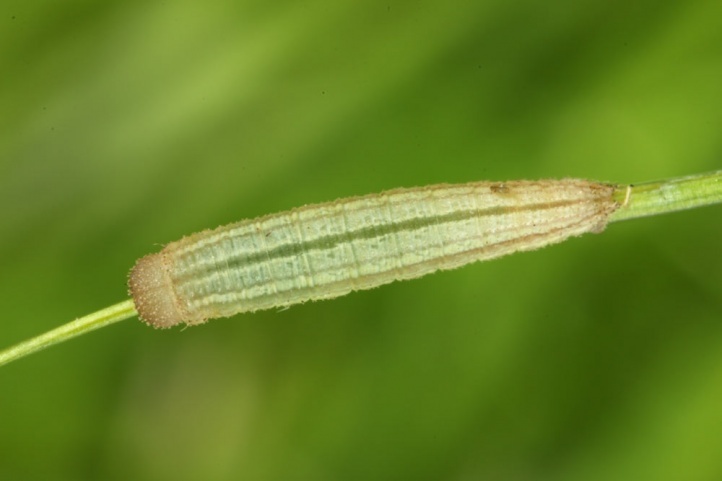 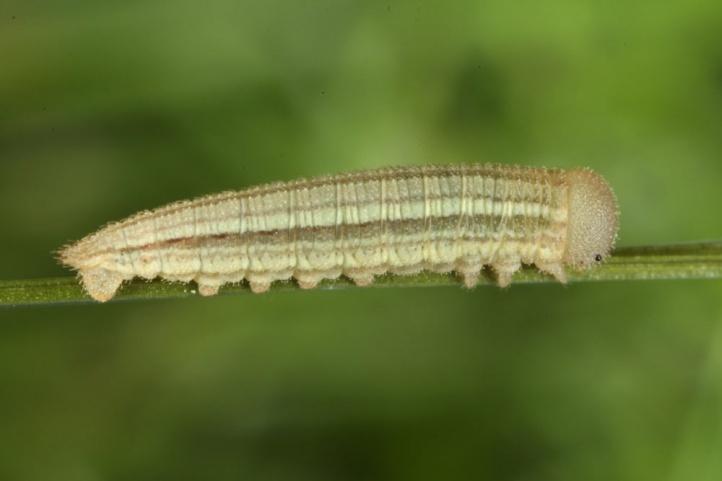 The half-grown caterpillars aestivate (July to early/mid-September). 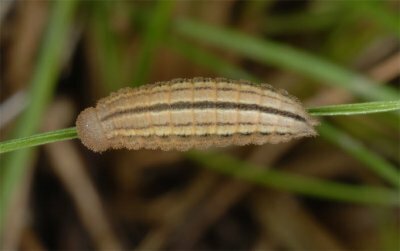 They reach the final instar in the autumn and will also feed in winter and especially in the early spring, as long as conditions permit. 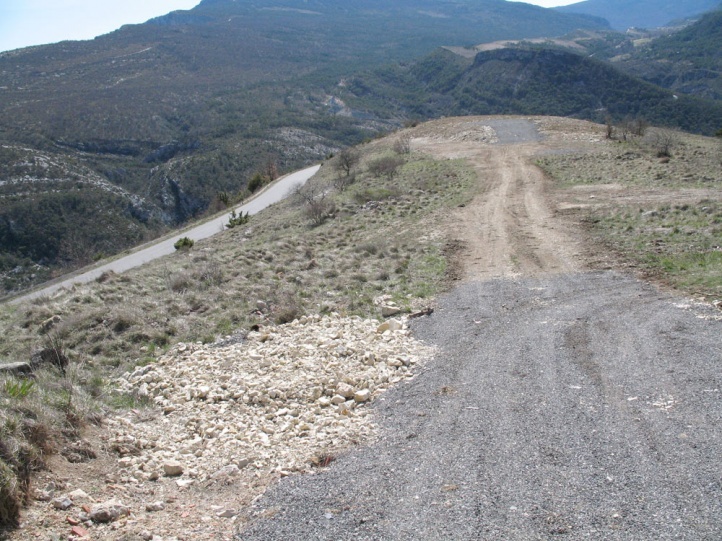 Therfore the steep, stony slopes offer even at this time sufficient temperatures on sunny days. 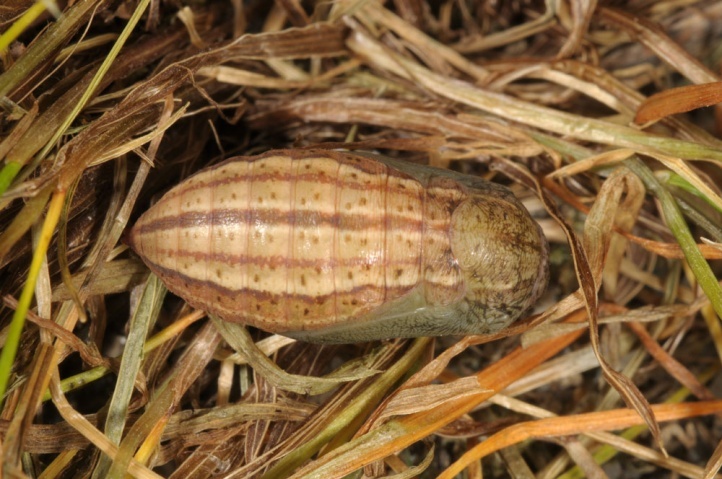 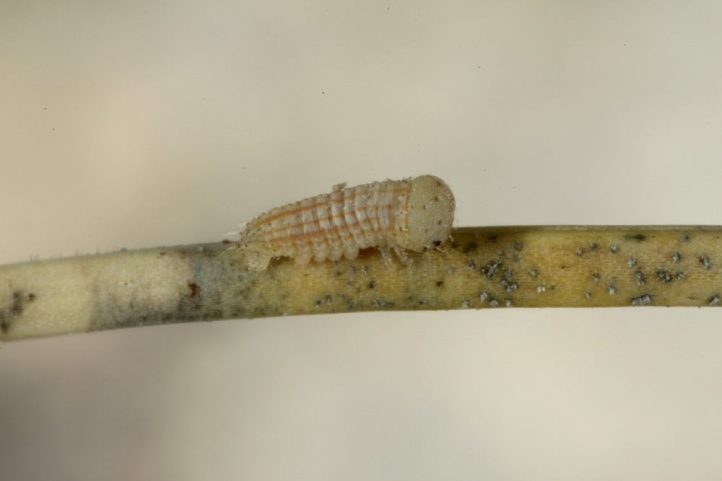 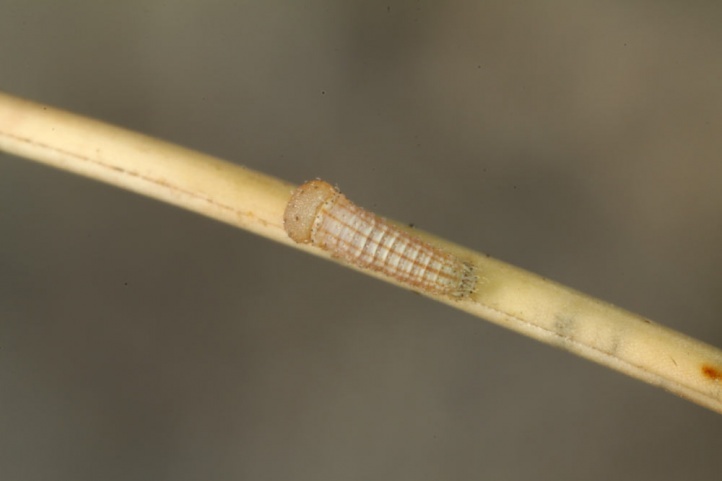 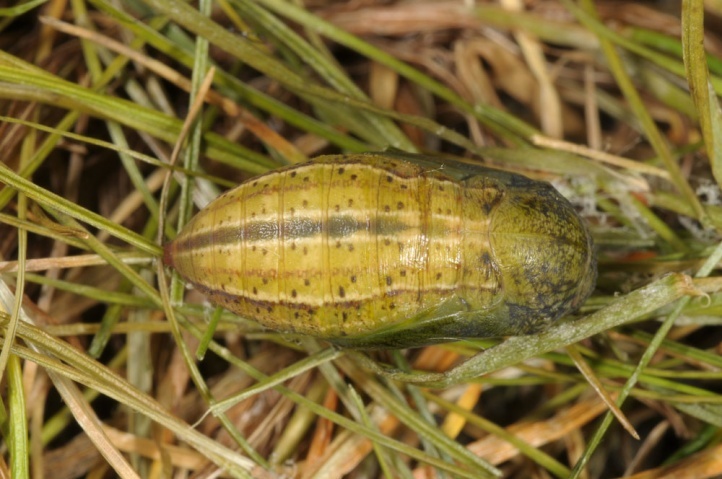 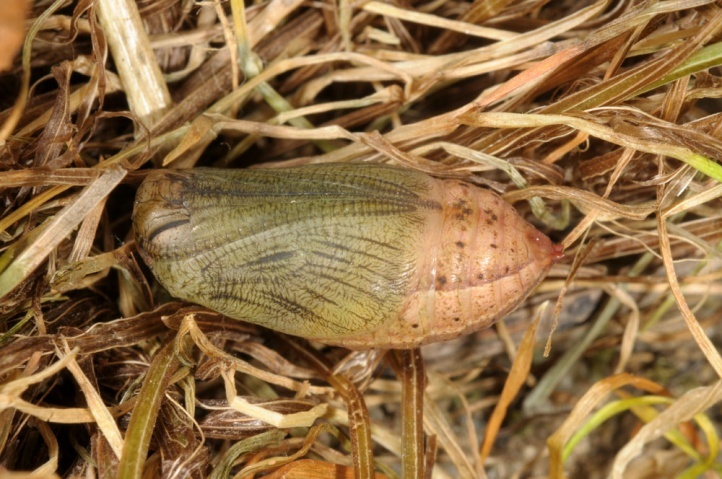 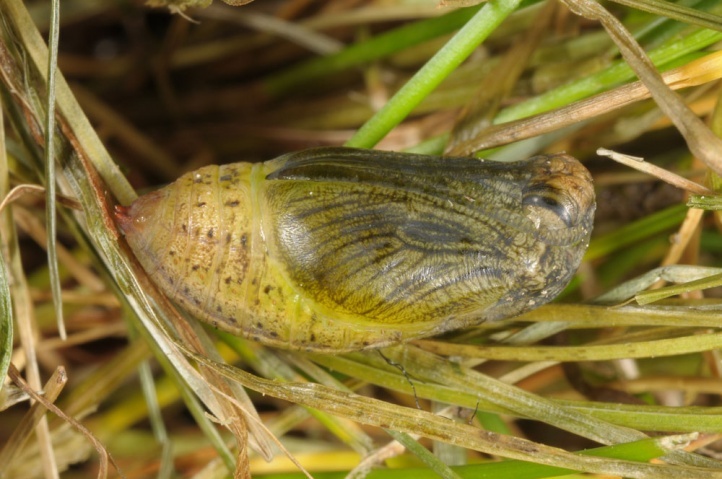 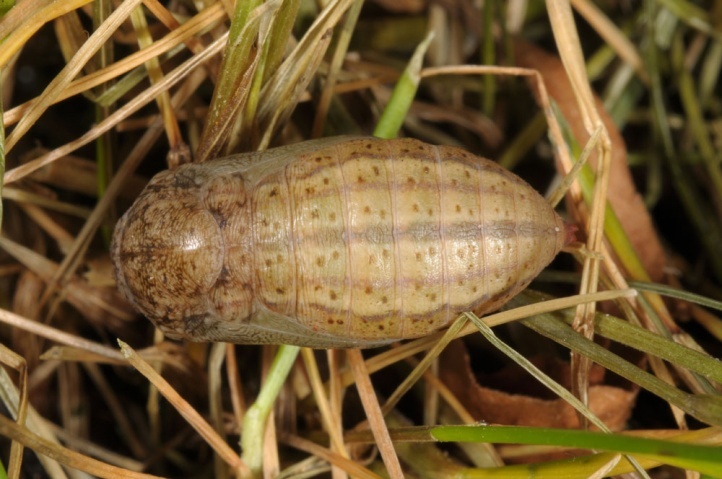 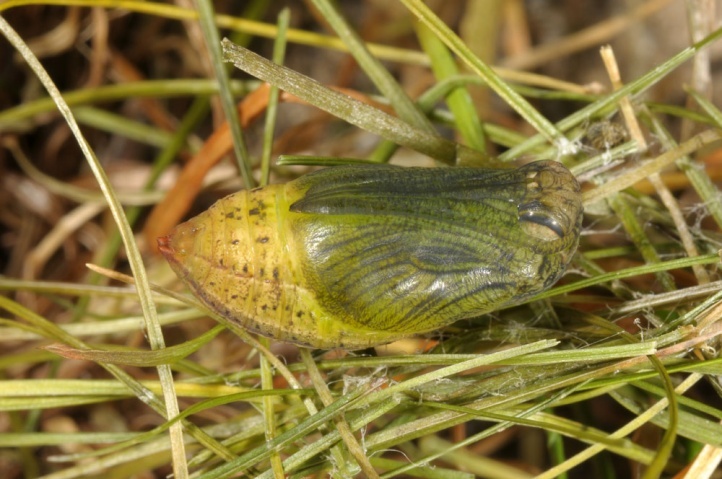 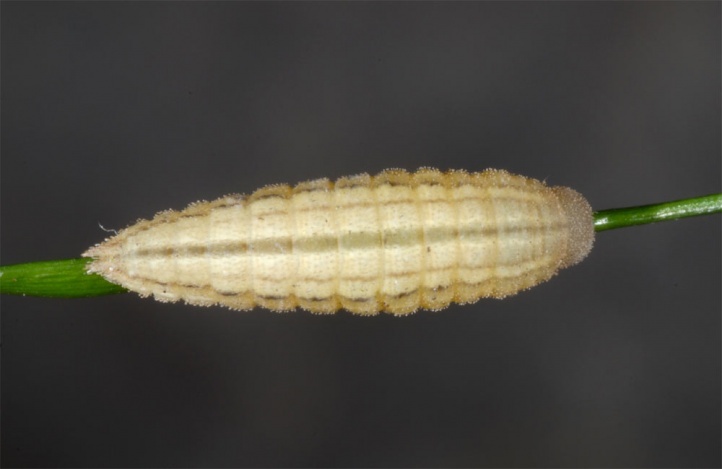 Pupation takes place between late February and late March/early April. 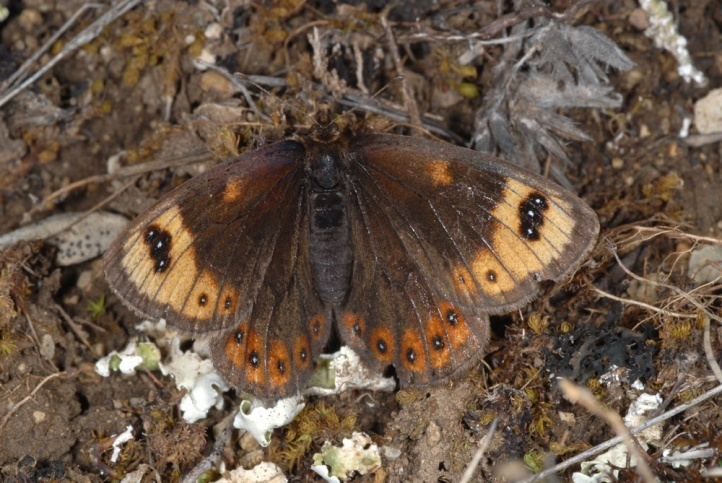 Erebia epistygne is threatened mainly in low-lying locations by habitat destruction. 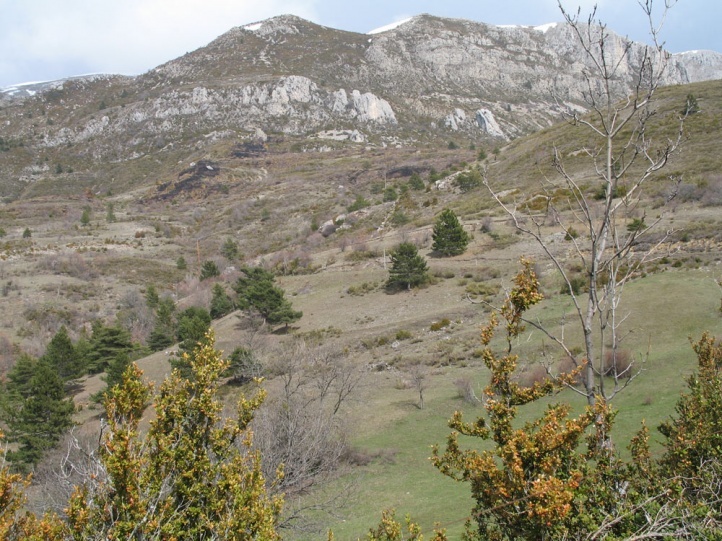 These include tourist facilities, overbuilding and reforestation of open spaces. 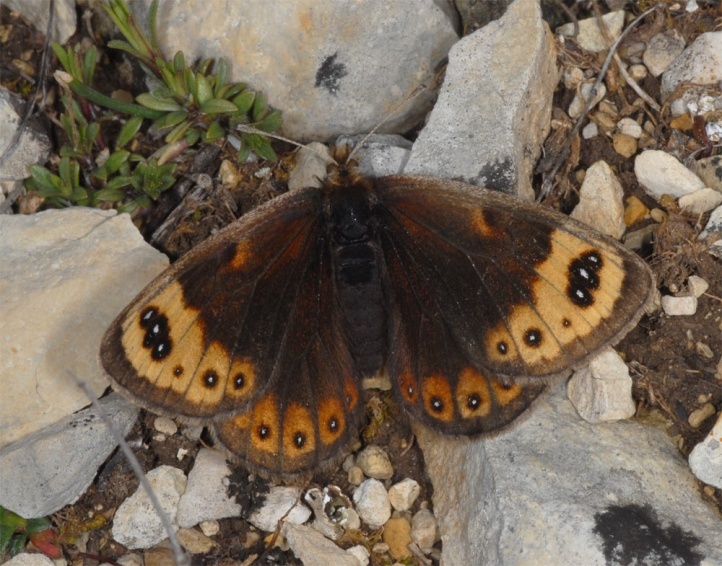 At La Palud sur Verdon I watched the overfill of a main habitat (many females, oviposition) with excavation and construction waste. 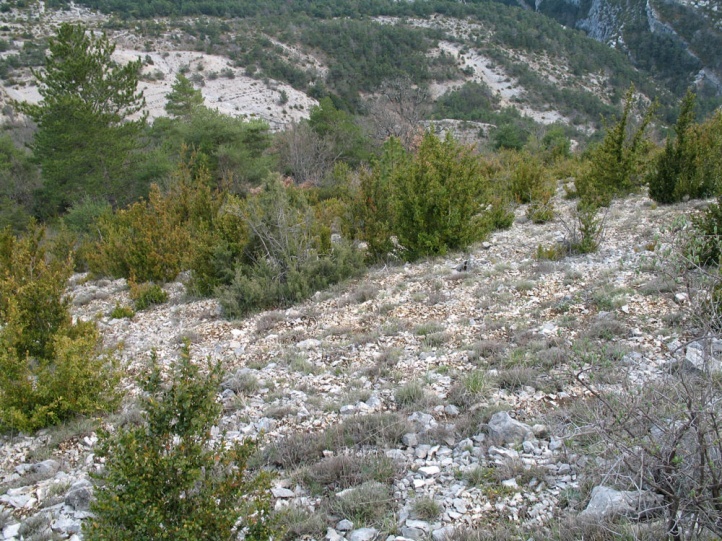 On large sites with steep cliffs on the other hand, the threat is often still low. 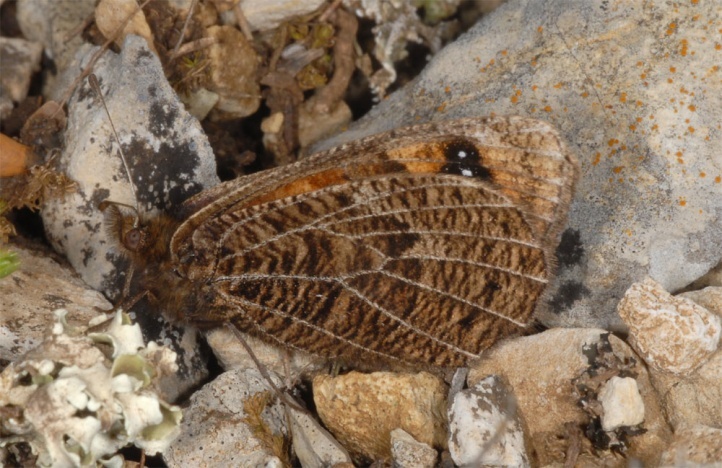 Erebia epistygne occurs in the mountains and rocky areas in eastern and north-eastern Spain and south-eastern France, but is even there only very locally.